Have you driven a 1973 Chevrolet Corvette? Displaying 11 - 13 of 13 1973 Chevrolet Corvette reviews. 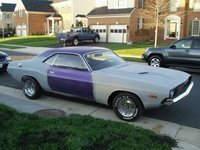 Awsome Car — Had this car for three years now! Pulled the 350 out and installed a 454.New paint,tires,interior,exhaust. Pros: This car drives like it is on rails. "code Red" — There is absolutely nothing I dislike about this car, after 12-years of ownership I have it just about where I want it. However, I am considering changing the wheels and tires soon. My wife wanted to know when would it be finished, it will never be finished ! There is always something to do to the car, unlike my BMW which you can only buy gas and have it serviced. God Bless Zora Arkus-Duntov, the Father of the modern Corvette. Pros: After having owned this car since July 1999, and it has been a labor of love, I had to keep my promise to my youngest daughter. I had promised to give it to her upon her graduation from college and so I delivered it to her. However, I swapped out that big, bad 365-cid sbc and installed a more mild-mannered GMPP 350 H.O. still plenty power for her. She has promised to take care of it and I will continue to do the maintenance. 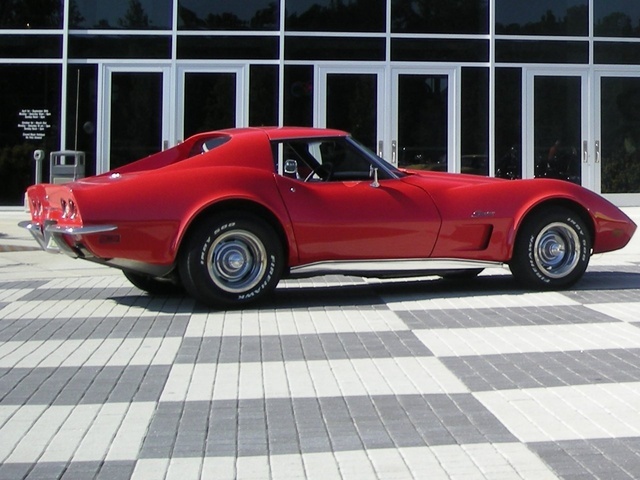 Looking for another 1973-Corvette Stingray Coupe for a summer 2015 project. It will be a beast, will post pictures here as soon as I find a suitable candidate. Cons: I had to give it to my daughter as a graduation gift. Always Wanted One, Have Had It For 7 Years, Never Disappoints — Excellent acceleration for its era, braking is good, handling crisp-- power steering offers no feed back. Build quality- frame, powertrain solid, body looks good after all these years. Exterior is beautiful, I personally like the interior design, and it fits me well (or I fit it well). Eats gas, but gas economy is not why I got it. Have had some expense in suspension restoration, but other than that, just fine. Great fun to drive, the Corvette rumble is wonderful to listen to. NOTE: in October of 2011 I had to rebuild the Rochester Q-jet. The rebuild was reasonable and everything is working fine now. The crud that is in the 10% ethanol gas in this area is unbelievable, the interior of the carb around the jets and in the bowl had what appeared to be a light reddish-white particulate in it. The filter was not clogged so I presume it settled out of the fuel once in the carb. Try to run real gas in these things or find an additive that can treat the problems with gas that has 10% ethanol in it.